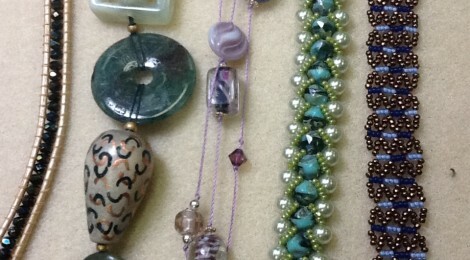 There’s more to making jewelry than just putting together a bunch of beads, and somehow we all know that instinctively. This class is designed to give you some vocabulary to understand what you know intuitively… to introduce design elements, the basic building blocks of all artistic media. What are these design elements? How are they used? How do they apply to beading? How can I use them to make my jewelry more interesting? Hands-on exercises in class will help you focus on practical application. This class, for beginners as well as experienced beaders, will give you a new perspective in creating and designing jewelry with all kinds of beads including seed beads. Provided: Printed handouts for later reference.